Our goal at the Audubon Nature Preschool is to facilitate the development of academic, social and physical skills through interactions with the natural world. Children are born naturalists. They explore the world with all of their senses, experiment in the environment, and communicate their discoveries to those around them. The Audubon Nature Preschool builds on children’s inherent curiosity about the world by using hands-on, nature-based activities to foster social, physical, and academic skill development. Children unravel the wonders of the natural world through a balance of self- and teacher-directed activities. Each day follows a familiar rhythm of outdoor investigations and explorations, indoor play, circle time snack and story. 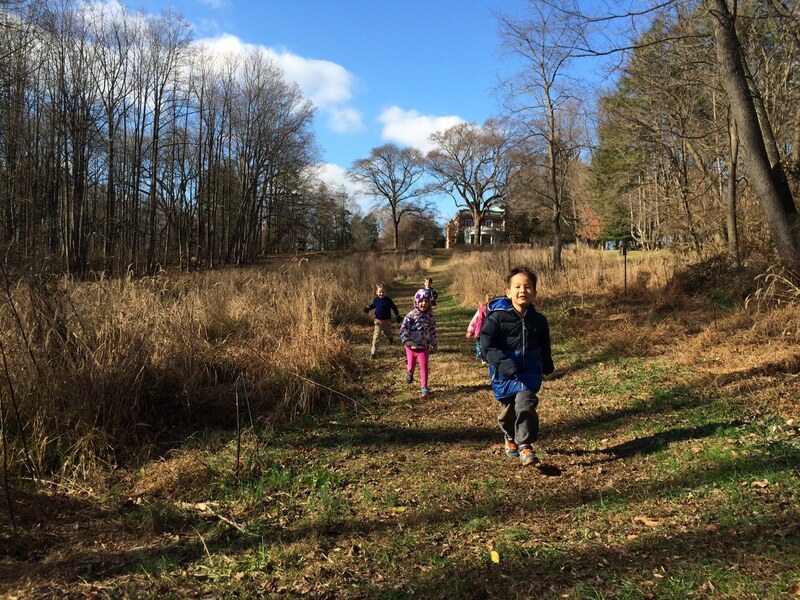 On our 40-acre nature sanctuary, children explore ecologically diverse aquatic, forest, and meadow habitats. 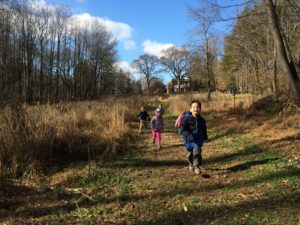 Watching birds from our bird blind, looking under logs for creepy-crawlies, and using nets to explore the pond enrich a curriculum that integrates science, math, literacy, and the arts. Cooperative learning and social competence are developed through group and individual activities. We offer traditional drop-off programs as well as parent-child programs. There are programs for children aged 6 and younger.